Overall, my family and I had a good stay except that we have requested to have our bedsheets change on the 2nd day, but it was not done. Coordination of staff should also be improved as we were chase before leaving the premises for the scotch tape we borrowed which we have returned. 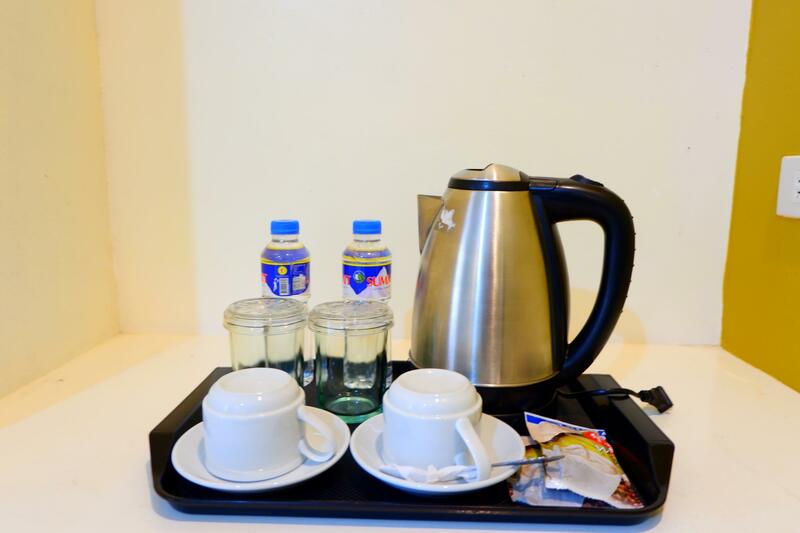 No Hot water dispenser, but you have a mini kettle in the room. This place is in a beautiful location right on the water. 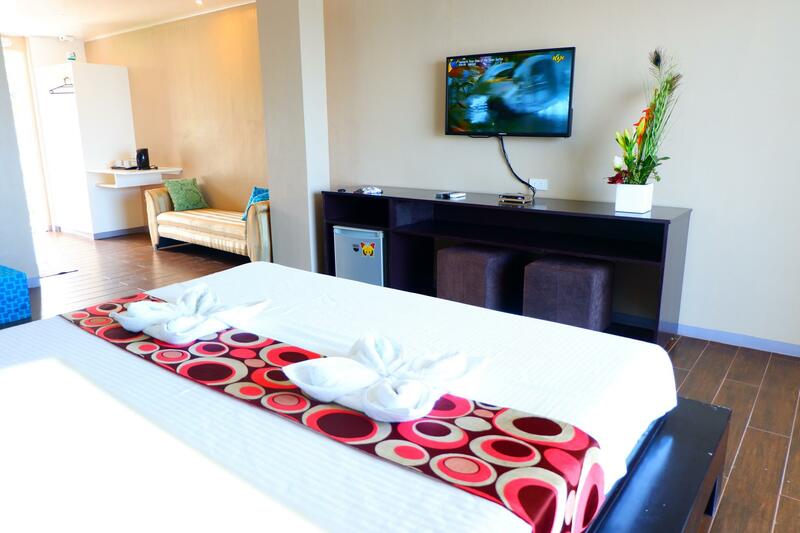 The staff are very friendly and willing to make our stay enjoyable. 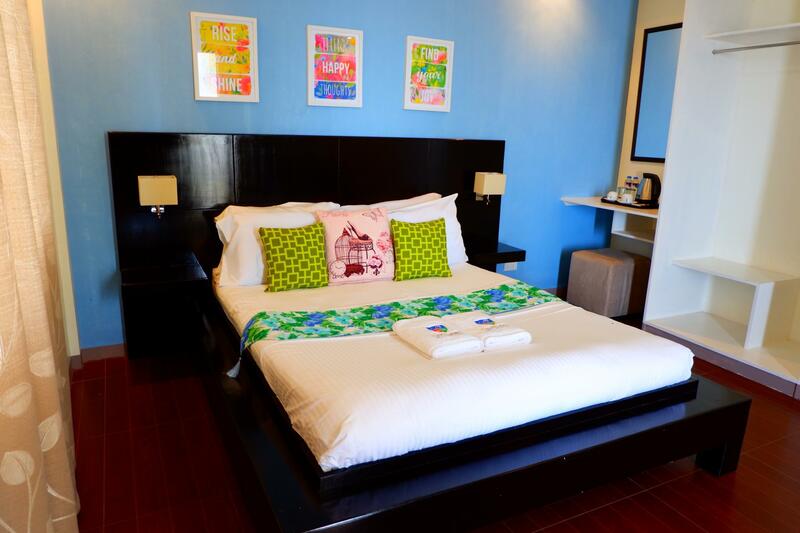 The room was spacious and clean with a wonderful balcony with a beautiful water view and nice breeze. I initially wanted a 2-night accommodation but had to settle for an overnight stay because the property is fully booked. During the check-out, someone was kind enough to ask us where we are heading and how we are getting there. I told him we are transferring by foot to another resort just a few steps away . To my pleasant surprise, I was offered a shuttle service at no extra cost! Thank you so much, Casa! My family likes the property's breakfast (taste and serving), cleanliness (special mention: sheets!) and its privacy. Again, thank you Casa! This is the place if you want to get away from noise, traffic and people. Its is a peaceful hotel with friendly staff here especially Mr. Bong who help us to fix 1 of our dinner there even there is not restaurant in the hotel. He even offer to sent us to the bus terminal when check out, since he is also going to town. Very simply breakfast with only 3 choices but its ok if you are not fussy. There is also a very good family run restaurant whom serve very good and reasonable food. Overall, I love this place and wish to go back soon. Thanks to all people there. We had a really great time in Bolinao. The resort's beachfront is not for swimming but the pool had a good view. 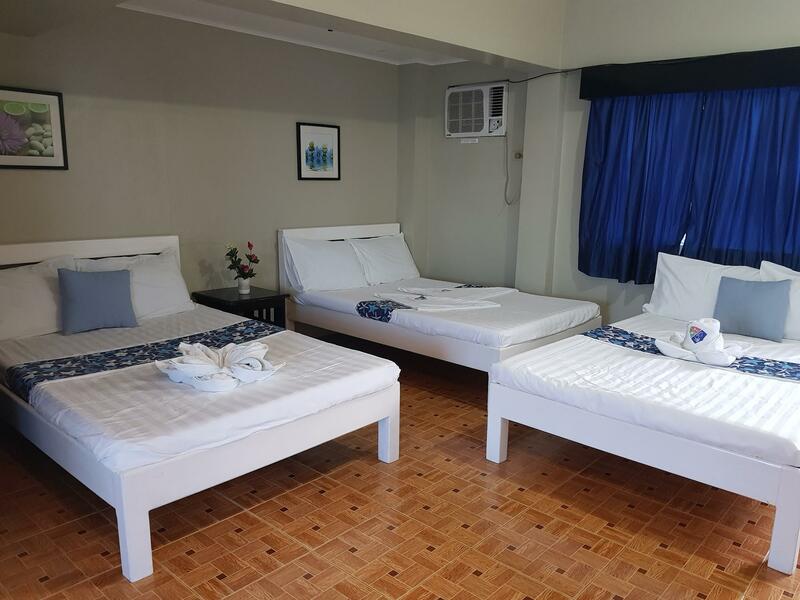 They have amenities such as kayak and videoke that are available free if charge. Our room has a nice interior and the beds are comfy. Though there were a few ants on the bed and toilet sink. The breakfast can be pre-ordered but because of the volume of guests their service was slowed down. Loved the danggit in Bolinao! I love that the staff were very accommodating. They went out of their way to make our stay comfortable. They even changed the sheets daily without prompting. The room we were supposed to stay in had a problem with the aircon so they upgraded us for free. 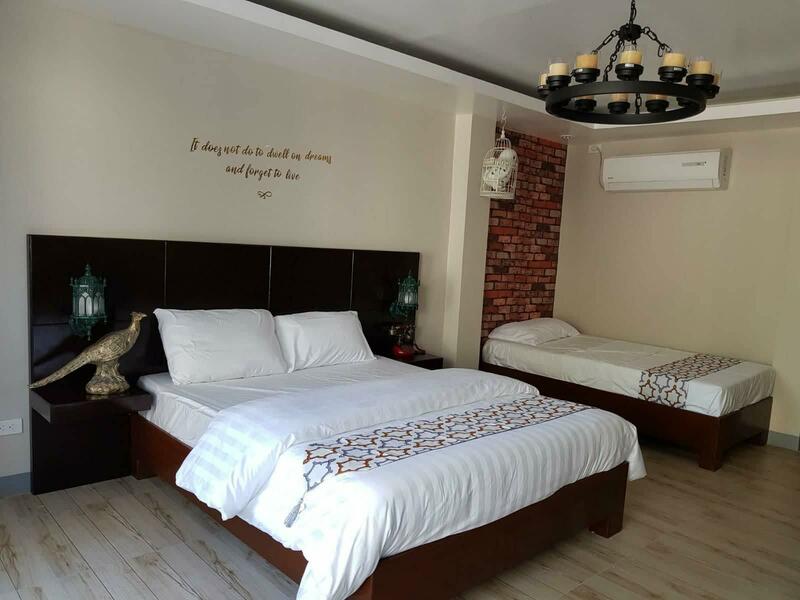 The new room was very spacious, clean and tastefully furnished. My family and I had a great time here. Perhaps, just a suggestion, it would be better to have an in house restaurant and more breakfast choices. Please do serve Alaminos longganiss or the boneless bangus that Pangasinan is known for. And a credit card facility is also welcome. Aside from those, I'm really happy we chose to stay here. Great place, great people, great service! Kudos! We celebrated our 1st wedding anniversary here. There is a typhoon (typhoon Ompong) during our stay but the staff really helped and accommodated us very well. They even gave us water and some biscuits before we left. They advised us to call or go back if something bad happened during our travel back home. Delicious food on request and great access to tourist destinations. What stood out for me is the sea view from the rooms and from the pool. Very well-situated and well-made! I also love the serenity and peacefulness of the place. Perfect for solitude and relaxation! There are many things lacking in this place making it not worth the value for the money. 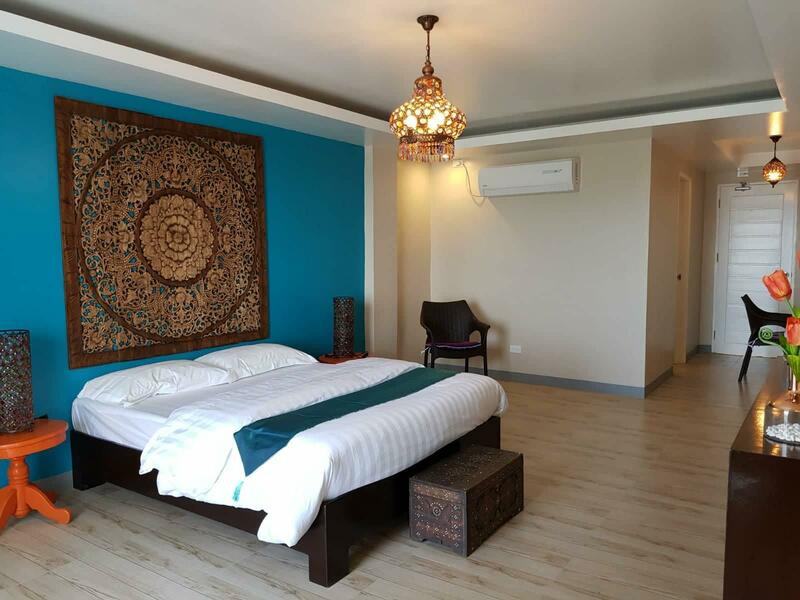 The location and style is more inline for the Filipino travelers than newly arrived foreigners. We experienced Lack of hot water , brown outs / no electricity then dealing with the sound of loud generator , lacking amenities that’s advertised but not there! Karaoke machine not working , table tennis broken , pool table, had to looks for the missing balls.... no phones in the room . The price needs to adjust much lower to make it worth while . The location is far from other sights like the waterfall or white sand beach or 100!island one restaurants. All need tricycles ride which you would need to negotiate pricing or accept pricing cause you have no choice ! There are no Taxi or jeepney in the area. Or tricycles. If it’s your first time in the area get a hotel near 100 island park. We tried calling the property coz we want to tell them in advance that we are going to check in late and would like to request for a dinner prepared before we arrived. We got the contact number from Agoda booking confirmation, and used that number, we made a total of more than 20 missed calls and an SMS message but no one answered or responded back, its a frustrating experience for us. We stayed there for the night and went home the next day. I didn't expect the room to be so beautiful! It was large and the bathroom was luxuriously nice. It was really clean to with a nice balcony overlooking the ocean. Downside is the ocean is not good for swimming, and you will need to drive for about 10 km to visit a white beach area. 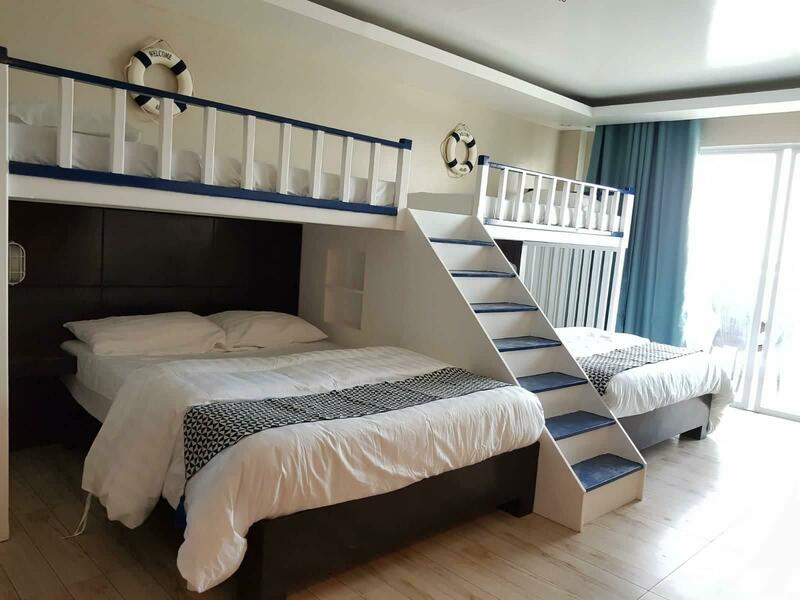 highly recommended resort to stay in bolinao.. medyo malayo man cya s white sand pero sobra nakakarelax nmn at if may car nmn po kayo pwede naman po pumunta s patar para mag beach. very accommodating staff.. if wer going back to bolinao for sure s casa almarenzo po kami ulit magstay. The place is quiet and beautiful. Relaxing sobra.. Good ambience and very accommodating staff. Kaya lang limited ang food. Sana mag dagdag pa sila sa menu. May ilan ilan din na insects sa room siguro they should put something na makakapag alis nang insects lalo para sa mga kids. The pool is really nice. Best place to spend your weekend! The staff will accommodate your needs. The staff is polite and veryyyy accommodating. There's a nearby resto, but for dinner, we suggest you eat at the resort. I don't know what else are they serving but we had buttered shrimp and liempo for dinner. And it's so delicious!! Although I'm hoping they would have a full menu soon. 😁 If you don't have a car but want to go on a tour, you can ask the staff to contact a tricycle driver for you. A tour with 4-5 destinations (whole day) will only cost you 1000-1200php. It was low tide when we spent the weekend here, that's why we were able to walk far away from the shore and take some pictures. The infinity pool is instagrammable. They are currently under renovation but it does not take away the beauty of the place. The price is worth it and I hope, after being fully renovated, they won't raise the price that much. Value for money stay. Don’t expect on the breakfast though.. on our 2nd day, we opted to eat out. Get the deluxe rooms (though you had to climb the stairs, not recommended if you have senior citizen with you). The standard room that we stayed the 2nd day has very thin blanket and the shower is so hard to use we opted to just use the faucet. There’s no beach here just pool. Hi Grace, Thank you so much for your feedback. We regret to hear your concern about our breakfast, nevertheless, we will do our best to bring this up to your satisfaction. We have taken note of all of your concerns and we'll make sure to improve on them the soonest. We do hope to be able to serve you the next time around. 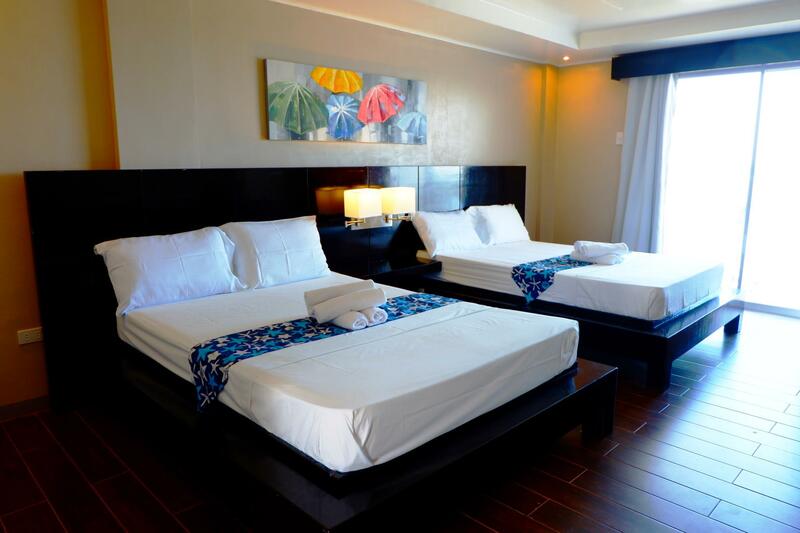 The place is right in front of the sea so everyone can expect a spectacular view outside their rooms. Most of the rooms have balconies overlooking the ocean. 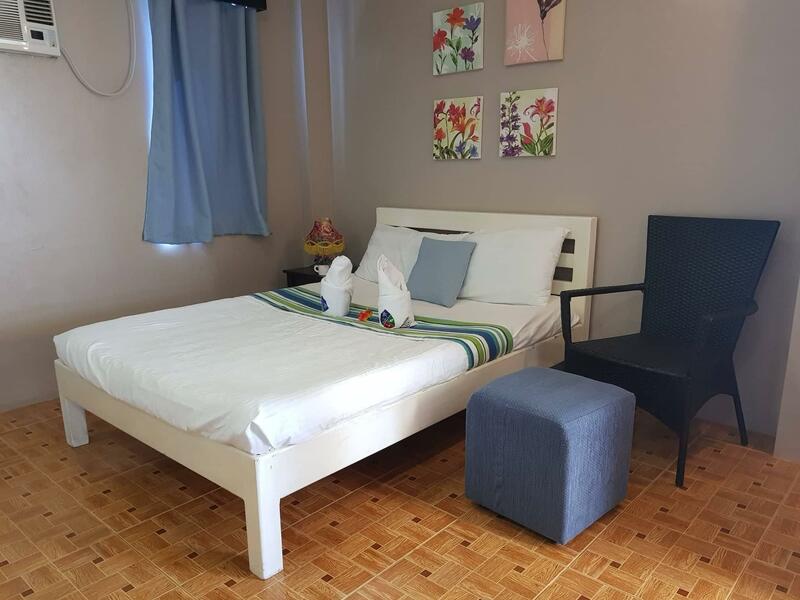 One of the buildings for accommodation is not yet fully finished but some of the rooms can be occupied already, just like the premiere family deluxe room where my family stayed. The resort also has an infinity pool which is perfect for photo taking. The place offers breakfast (free breakfast for 2 persons) but not lunch and dinner. Guests have the option to eat out in surrounding restaurants or they can also have a look of the menu list of one of the restaurants the resort is partnering with and make the order through the reception. There is a service charge if you decide to eat the ordered food in the pool side tables and the staff will arrange everything and will be the waiters, as well. A delivery fee is also charged but at reasonable price. The staff are very accommodating especially the manager. Great place!